My so-called-life...: Trick or Treat! Who says that Halloween parties are just for Kids? 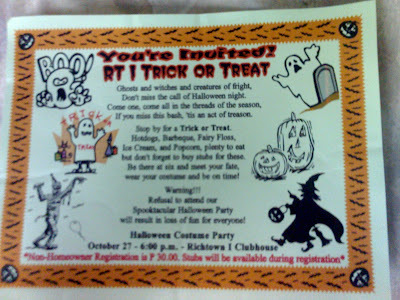 Well, we'll be having one in our village this Saturday at our clubhouse and I'm sure it'll gonna be a spooktacular night.